In a perfect world, this is going to be as good as the Mercy Thompson series by Patricia Briggs - just YA. Anywho, I'm intrigued and can't wait to get my hands on it. That cover is really gorgeous! It sound really intriguing as well. Will definitely add this to my TBR! I've read a lot of Alyson Noel's books but some of them are worse than others - I hope this one will be amazing! Hmm I have never read any of Alyson Noel's books before. Maybe this will be a good one to start off with. Thank you for visiting my WoW! Great pick. I am really excited to read this one too. I hope that we both love it. I definitly wanna read Fate. 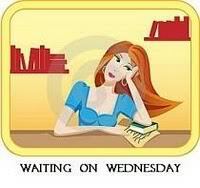 I have read all of the immortals series and am halfway through the Riley Bloom series. Enjoy! Ooh love the cover ... and the earrings - lol - but the summary sounds fantastic too. Hope you enjoy it when you get to it. An intriguing cover and choice. I was lucky enough to get a copy of this book. I have to say that I liked it better than the Immortal series. Great pick! I read one or two of her other novels, but didn't like them too much. Very wary, though I hope this one will be great! This is on my list too..great pick! It sounds interesting, but so did her Evermore series, and I truly believe that was one of the worst series ever written. I hope this one's better, but I'll check it out from the library first just in case. Love this cover. Adding it to my wishlist! Squee! 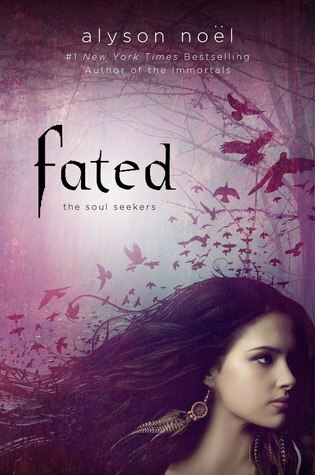 I loved Alyson's Evermore series so I can't wait to dive into Fated. It's on the top of my tbr list when it comes out. Great choice! This looks great! I am loving the cover! Nice pick! I can't wait to get hold of this book! It sounds wonderful and the cover is stunning. OH! I got an ARC of this last week. It definitely seems interesting and I plan to start it soon. Thanks for stopping by my WoW! I do want to read this, but I'm going in skeptical, because I was not impressed with Evermore. Oh, I did a WoW post on this book, it sounds really good, and I really enjoyed her Immortals series, and her Riley Bloom series :) Thanks for stopping by! Happy reading!